During automotive history’s dark ages (a.k.a. the early-1970s to the mid-1980s), fuel economy shot right to the top of many new car buyers’ priority lists, as the Malaise Era (as it has come to be known) coincided with not one but two major global oil supply/price crises. In the rush to placate consumers’ nervousness, the industry plunged headlong into trends like downsizing, improved aerodynamics and, eventually, electronic engine management to get more “go” out of every drop of gas. Although the V10-chassis Toyota Camry wasn’t the first iteration of the nameplate in the strictest sense, as it was preceded by a Japan-only rear-drive sedan based on the Carina called the Celica Camry, it was the first to reach the U.S., and the first to adopt the transverse-engine front-wheel-drive layout the model has used ever since (a comparatively small run of AWD V20 models notwithstanding). In fact, it was the very first production Toyota to use that configuration, as the brand’s first FWD model, the L10 Tercel, had a longitudinally-situated engine. 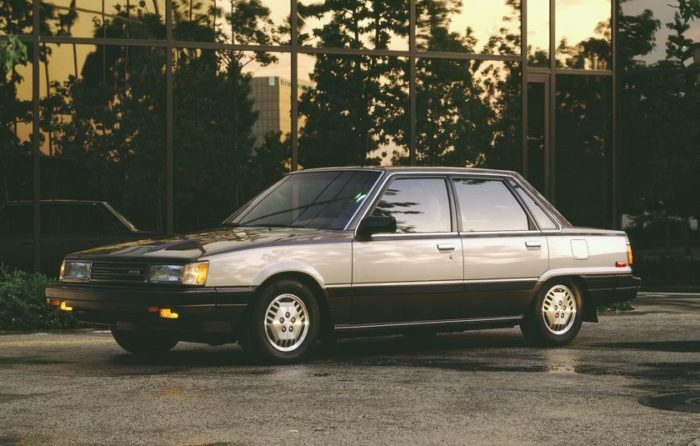 Basically, the first proper Camry was the template for all the logical, no-nonsense (and no-fun, as many will still argue) Toyota passenger cars of today. Alas, there were two quite nifty elements of the O.G. mid-size transportation appliance that proved to be evolutionary dead ends when the V20 bowed for 1987: The handy-but-handsome 5-door Liftback body style (which was replaced by a full-fledged wagon that was dropped from the North American roster after production of the third-gen Camry concluded), and a turbodiesel inline-four. Initially, this 1C-TLC engine measured 1.8L, was rated at 73 horsepower and 107 lb.-ft of torque, and was only paired with a 5-speed manual transmission. For 1986, it morphed into the 2C-TLC, a 2.0L unit rated at 79 horsepower and 131 lb.-ft and matched exclusively to a 4-speed automatic. As you’ve probably surmised, both versions are incredibly rare, and highly coveted by those in-the-know. 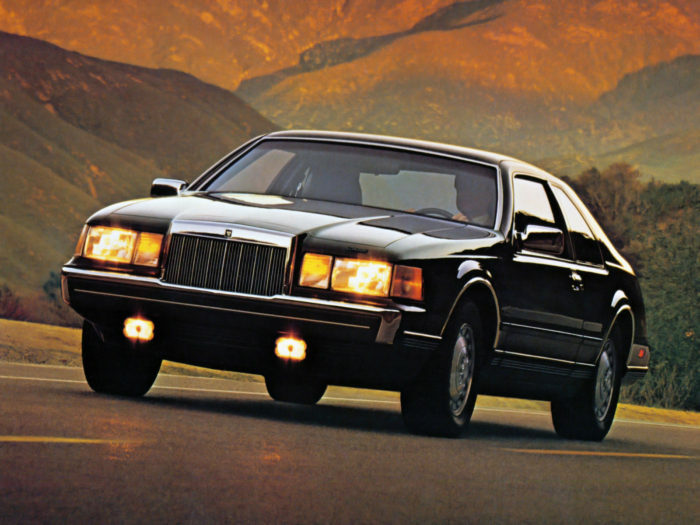 After the Panther-based Mark VI (which was available in both coupe and sedan forms) failed to draw many prospects to Lincoln showrooms (and many of those who did show up realized they could get a Town Car or Town Coupe, which was essentially the same car minus the opera windows, hidden headlights and other pimp-tastic touches, for less money), Lincoln decided on a hard reset for the seventh (numerically speaking) iteration of its personal luxury car, which arrived for model year 1984. Its size went even smaller, down to the Fox platform that underpinned – among numerous others – Ford’s less opulent two-doors, the Thunderbird and Mercury Cougar, which received strikingly swoopy new sheetmetal the year prior. Like that tandem, the Mark VII’s exterior was organic and almost European in its appearance, the latter helped immensely by the fact it was the first production car to take advantage of the USDOT rescinding its decades-old sealed-beam headlight mandate and wearing a set of flush-fitting halogen front shiners as a result. However, the Old World influence didn’t end there: As well as the ubiquitous 302 cubic-inch (4.9L, even though Dearborn marketers swore up and down it was a 5.0L) Windsor V8, Mark VII buyers could order their new ride with a 2.4L inline-six turbodiesel designed by BMW and built by the Steyr group in Austria. In terms of adding an economical powertrain option to the menu, it was mission accomplished. However, its 114 horsepower and 155 lb.-ft of torque delivered performance that could hardly be described as athletic, even by the highly diminished expectations of the era. Couple that with a drop in gas prices and an toughening emissions standards in California and states that chose to adopt its stricter-than-the-feds regulations, and it’s easy to see why the oil-burning Bimmer lump disappeared from the order sheets of the Mark VII and its bustle-backed four-door fellow Fox-body user, the Continental, after 1985. 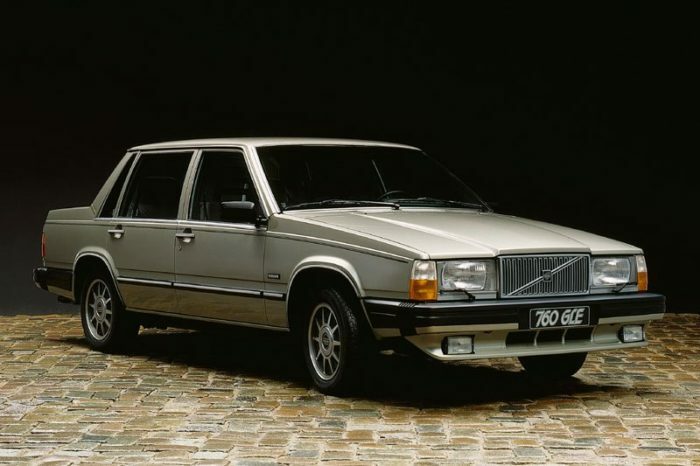 Although it was the first Volvo of the ‘80s, the 760 (and the less ornate 740 that followed shortly after) still followed the Swedish outfit’s passenger car design orthodoxy up to that point, meaning longitudinal engines driving the rear wheels all wrapped up in relentlessly boxy bodywork. And like the smaller Volvo 240 being produced concurrently, the 760 sedan and wagon (though for 1986 the engine was shifted to the 740 range) were available in our market with a Volkswagen supplied 2.4L inline-six diesel; unlike the 240’s naturally aspirated version, however, the 760 made use of a turbocharged version known as the D24T. With ratings of 110 horsepower and 166 lb.-ft of torque, the engine provided acceptable power by the (depressingly low) standards of the time, and good fuel economy. Even so, the 1986 model year would be the last for the big diesel Volvo over here, which is too bad, because a more potent intercooled version of the D24T (called, of course, the D24TIC) arrived that fall for Europe and other regions. 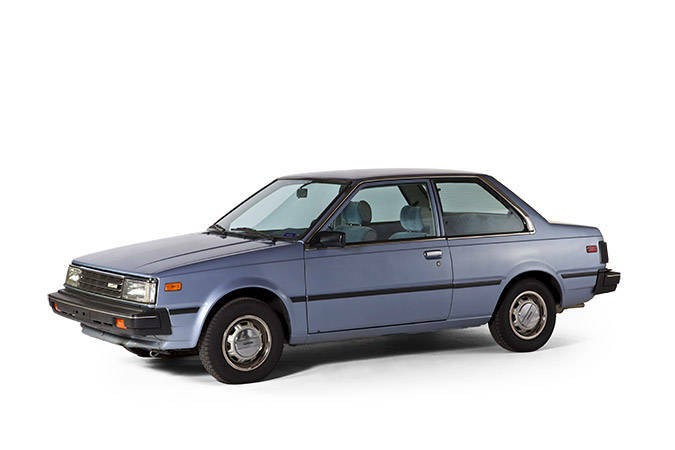 In addition to being one of Nissan’s first products to be marketed in North America without the Datsun nameplate or a three-digit number, the first generation Sentra (chassis code B11) was also the firm’s first (and, as it would turn out, last) front-wheel-drive U.S. model offered with a diesel. The engine in question, the 1.7L CD17 inline-four, produced a positively elephantine (That’s sarcasm, in case you couldn’t tell…) 55 horsepower and 75 lb.-ft of torque, and was matched exclusively to a 4-speed manual transmission and the two-door sedan body style. As you might expect, the Sentra diesel (which was available from 1983 to ‘85) returned some ridiculous fuel economy, so much so that the model was formally marketed as the Sentra Deluxe MPG Diesel: Under the EPA testing procedures of the time (which provided projections of real world driving conditions that, in hindsight, were wildly optimistic), the car was rated at 48 mpg city, 62 mpg highway and 53 mpg combined. But by that third and final model year, worries about gasoline price and supply stability were on the wane, and few Americans were interested in loud and slow diesel compacts, even ones that did come from Japanese brands with reputations for exemplary reliability and economy. As discussed previously on this site, International Harvester had a good, long run at building light duty pickup trucks and SUVs for the individual and family markets and, had they been able to keep at it and update their products sufficiently, would have been in a good position to cash in on those segments’ popularity explosions in the ‘90s. 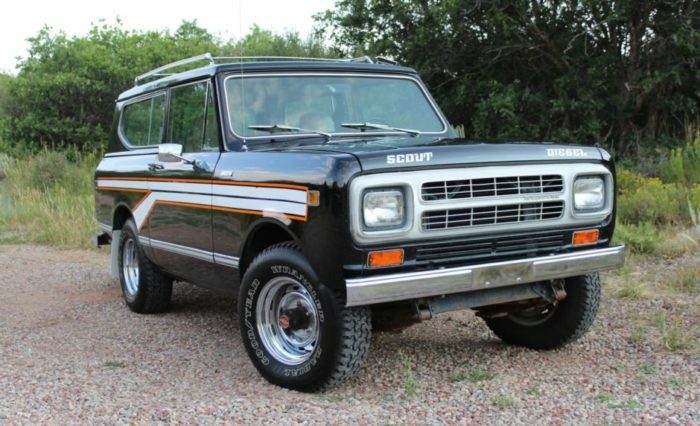 As it was, the company exited the consumer market at the dawn of the ‘80s, but not before it had a chance to give its Bronco/Blazer/Ramcharger fighter, the Scout II, the unique selling point of diesel power. Beginning with the 1976 model year, the Scout II range (which encompassed the convertible SUV, the extended wheelbase Traveler wagon and extended wheelbase Terra pickup) was offered with the 3.2L SD33 inline-six diesel produced by Nissan, as IH didn’t make any diesel engines suitable for light duty applications at the time. With 81 horsepower on tap it wasn’t that much faster than walking but, with the first OPEC embargo still fresh in many motorists’ minds, it made a lot of sense for a bug-out-ready vehicle. However, Nissan and IH made real progress toward addressing that one major shortcoming for the ’80 model year by fitting the engine with a turbocharger to create the SD33T. Granted, it still only made 94 horsepower (plus 175 lb.-ft of torque) but, on-boost and with a skilled hand guiding the mandatory Borg-Warner T19 4-speed manual transmission through its cogs, it could certainly hold its own in traffic at the time. Sadly, that time was short-lived, as International exited the light vehicle market altogether at the end of the ’80 model year after just 6,400 Scout II turbodiesels were made. 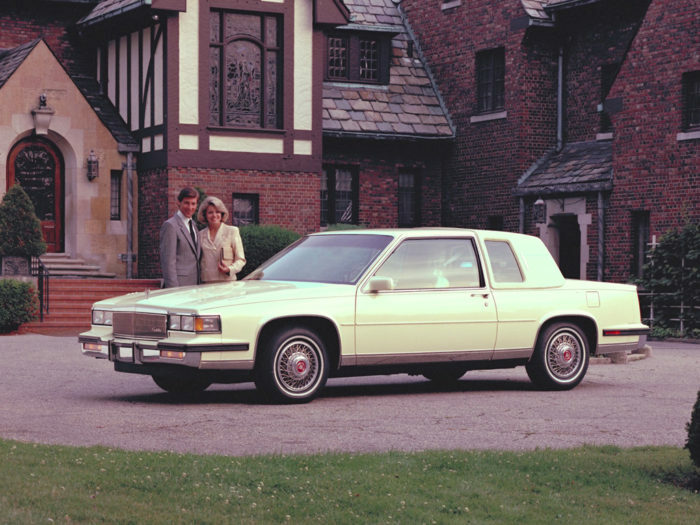 As if the 1985 reassignment of the Cadillac DeVille and Fleetwood lines to the radically-downsized, awkwardly-proportioned front-wheel-drive C-body architecture wasn’t traumatic enough for Caddy’s core demo, they were also offered with a V6 engine. But this wasn’t the Buick derived 3.0L or 3.8L gas V6 found in GM’s other newly shrunken C-bodies (the Oldsmobile Ninety Eight and Buick Electra); no, this was the Olds-built 4.3L V6 diesel. Codenamed LT7, this overhead-valve clatterbox was specially adapted for the premium front-drivers and rated at a rip-roaring 85 horsepower and 165 lb.-ft of torque. 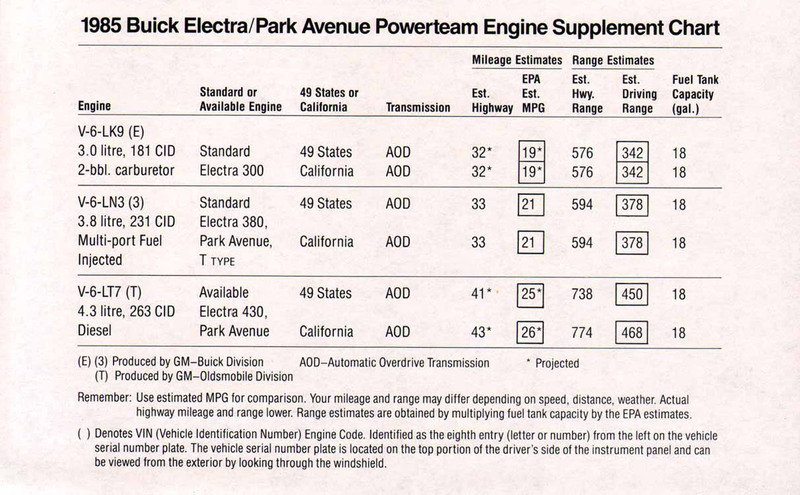 Not even bladder-ripping efficiency (We couldn’t find any numbers for the Cadillacs, but the California-spec Electra had a projected 774-mile highway cruising range on a full 18-gallon tank, which works out to 43 mpg.) or its status as a no-cost option could overcome the turdstorm of negative PR surrounding Oldsmobile’s oil burners, nosediving gas prices, tightening emissions regs (particularly here in the Golden State), increasingly loud whispers of reliability woes for the standard alloy-block, iron-head 4.1L gas V8 and the general stigma surrounding a V6, front-drive “full-size” Cadillac. Consequently, few were surprised to see the LT7 retired corporation-wide at the end of the ’85 model year. When Renault and AMC became an item in 1978, the main objectives were for the former to get access to more North American dealer and factory capacity, while the latter gained expertise in the areas of modern front-wheel-drive platforms and four-cylinder engines. 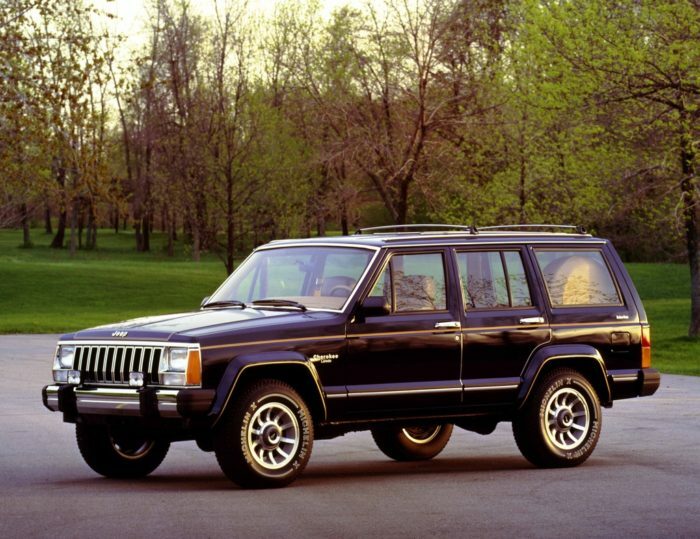 However, one of those Renault engines – a 2.1L turbodiesel inline-four – wound up in the vehicle that would end up being AMC’s last big hit: The compact, unibody XJ-series Jeep Cherokee. The “Douvrin” engine’s 85 horsepower and 132 lb.-ft of torque served up acceleration that barely qualified as leisurely even under optimum conditions, but it gave the Cherokee (and its luxed-up, stacked-headlight sibling, the Wagoneer) even more impressive rock crawling capabilities and fuel economy that many modern compact SUVs and crossovers would struggle to match. Even as the 1980s were reaching their midpoint and the oil availability worries of the previous decade were getting smaller and smaller in the metaphorical rearview mirror, a large percentage of American Mercedes-Benz buyers were still red hot for the company’s diesel offerings. Consequently, when the folks in Stuttgart retired the beloved and baroque W123-chassis 300 D Turbodiesel sedan from the U.S. market at the end of the 1985 model year, they replaced it with the swoopy W124-based 300 D Turbo (presumably the “diesel” part of the name was dumped to take some of the figurative – if not literal –stink off the car among more eco-conscious types) for ’86. Twelve months later, its station wagon cousin, the 300 TD Turbo, arrived. Both initial versions of the USDM W124 diesel (though the wagons – like all Mercedes-Benz built wagons before and since – carry an “S” in place of the “W” in their internal codename) shared their 3.0L SOHC inline-six turbodiesel – designated OM603 – with the latest diesel S-Class, the 300 SDL Turbo. To meet tighter federal and tighter-still California emissions requirements, engineers fitted the OM603 with a primitive particulate filter (a.k.a. trap oxidizer) to clean up the exhaust; however, due to limited undercarriage real estate and a need to be close to the exhaust side of the turbocharger and its abundant heat, they placed the filter right next to the engine’s aluminum cylinder head, and as the filter heated up, the head would distort, causing head gasket failure and all sorts of other issues up to and including total engine failure…a sharp contrast to the apocalypse-proof iron-block-and-head (though, it should be noted, trap-free) OM617 straight-five that preceded the OM603. The high financial toll incurred in making things right for customers (not to mention the deluge of negative PR) prompted Mercedes-Benz to halt exports of all three OM603 powered models to the U.S. at the end of 1987. 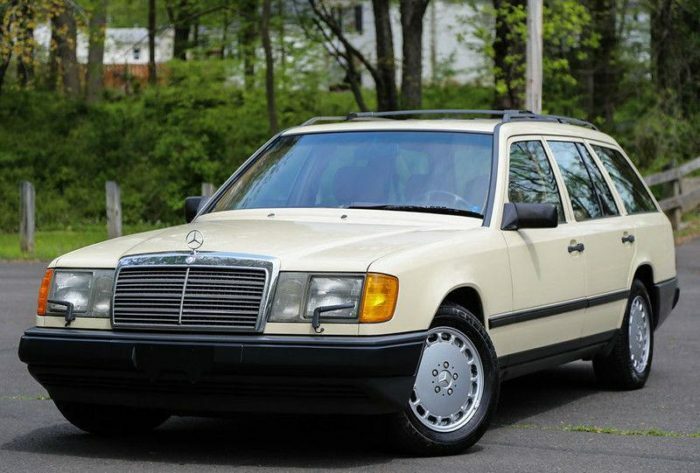 The diesel S-Class would return in 1990 as the 350 SD and SDL with a larger displacement version of the OM603 sans trap oxidizer (consequently ruling out California regulatory approval), as would the 300 D with a new 2.5L inline-five (ditto); however, you’ll notice that the wagon never came back. A rapidly atrophying American station wagon market convinced product planners that there was no need to offer an updated S124 diesel over here, meaning not only that the 1987 300 TD Turbo was a one-and-done model, but we also missed out on the later more refined (and reliable) compression ignition lumps available in the sedan. After relying on two generations of rebadged Mazda B-Series for its compact pickup needs, Ford replaced the Courier with the homegrown Ranger in 1983. However, the Mazda influence didn’t disappear altogether with the big changeover, as the Ranger’s option list for the first two years featured a 2.2L inline-four diesel supplied by Mazda but developed by the compression-ignition wizards at Perkins. With 59 horsepower on tap, it was no barn burner, but it provided a decent mix of economy and load-lugging ability. But a lot of customers wanted more than decent and, beginning with the 1985 model year, Ford gave it to them by deep-sixing the Perkins-Mazda and signing a deal with Mitsubishi for that conglomerate’s 4D55 2.3L inline-four turbodiesel. 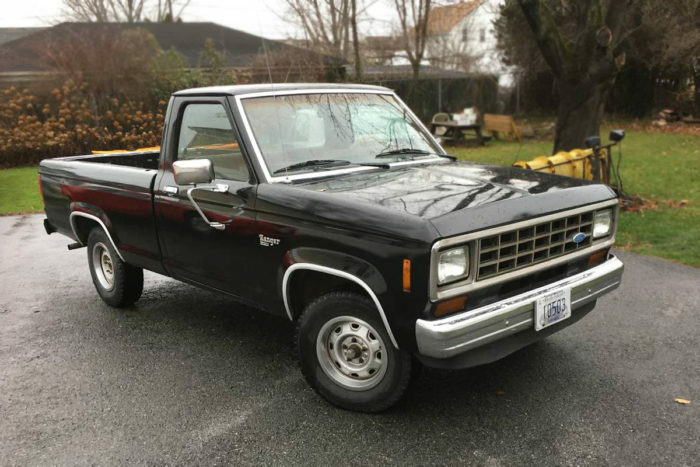 It was rated at a respectable 86 horsepower (and 134 lb.-ft of torque), but not even that extra oomph was enough to keep the diesel first-gen Ranger (or its even rarer 1986-only SUV sister, the Bronco II turbodiesel) from getting, erm, eighty-sixed for keeps at the close of the ‘86 model year. When Chrysler inked a deal with Cummins to supply inline-six turbodiesel engines for ¾-ton and stronger Dodge Ram pickups beginning in 1989, it marked the beginning of a mutually beneficial partnership that continues to the present day. But did you know full-size Mopar pickup buyers could scratch their compression ignition itch more than a decade before that? 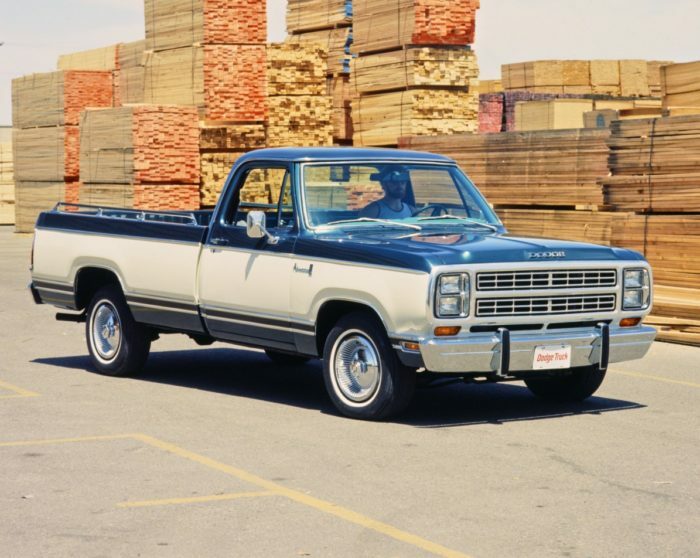 It’s true: For the 1978 model year, buyers of D-150 “heavy-half” and D-200 ¾-ton 2WD trucks (and their 4WD W-150 and W-200 counterparts) could opt for a 4.0L naturally-aspirated inline-six diesel built in Japan by Mitsubishi (who was already supplying the Dodge and Plymouth brands with a host of compact “captive import” passenger cars). For ‘79 (pictured above), the Mitsu mill (codenamed 6DR5) option was extended to the regular ½-ton D-100 and W-100 trucks, as well as the facelifted B-Series full-size vans. Alas, there were some sizable downsides to this engine: First, it was never certified for sale in California, cutting off a sizable chunk of potential buyers. But the 2,835 49-state buyers who stepped up for the diesel in their trucks (Amazingly, there’s no evidence that any vans were ever ordered with the engine.) were promptly greeted by the 6DR5’s other glaring fault: Its 105 horsepower and roughly 165 lb.-ft of torque (Sources we’ve consulted list it anywhere from 163 to 169.) were heinously inadequate for propelling more than two tons of Dee-troit steel, particularly when teamed with the optional Loadflite 3-speed automatic. Sure, Dodge trucks fitted with the diesel six could chug along and return 20 mpg all day but, considering they would likely be left for dead by the likes of a Chevrolet Chevette diesel or a VW Microbus running on 3-cylinders when pulling away from a stoplight, it’s no wonder the imported oil burner vanished without a trace from the options list after ‘79.